A photography site is something that needs a different approach in design compared to other sites. You would definitely want to use the site to portray the images in the best possible way. There are several options when it comes to specific WordPress themes that can be used for a photography site. 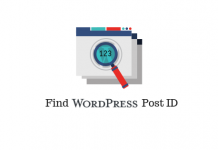 If you are new to the WordPress ecosystem, you may even find a little lost in the abundance of choice. This article intends to help you familiarize with some of the best WordPress Photography Themes that you can use. If you are looking for some WordPress WooCommerce themes, you can find a few here. Your primary motivation in going for a specialist theme for your photography website is to display your work in a delightful fashion. Along with that, you probably want your content too to be enhanced in a complementing manner. Basically, visual representation takes prominence in a photography theme, and you should be able to match other aspects to that, including branding. Before getting into the popular WordPress photography themes, let’s see what features to look for. If you are looking for free WordPress themes, here is another article that might be of help to you. Gallery styles are quite important in determining the customer experience of a photography site. Common options available for gallery styles are slideshow, carousel, grid, etc. There are multiple aspects to consider when you choose a specific style. You might want to choose a particular gallery style for certain types of photographs. For example, wedding photos often find better displayed with the slideshow option. Depending on the type of photographs, you can choose a different style for different gallery pages. Or, you can leave it for your viewers to choose by making multiple options available on the site. Whatever option you decide to go with, your theme should be able to provide the flexibility for that. So, while choosing a theme, look for custom gallery styles option. Keeping a large image as the background of your site is a popular option that you will see in many photography sites. It is a great way to speak the language of photography to your visitors. In addition, it helps to communicate some personal message of yours to the visitors. While choosing a large image as background, you would want to be able to keep it with the original quality. In fact, you need to make sure that the theme you choose will let you do this. Lightbox is a feature that you often see in eCommerce product pages. It gives the viewer an option to view a photo with much more detail. You might have the same requirement on a photography site too. Often you might have reduced the size of a high resolution image to fit into your gallery style. So, when a user wants to see the image in its original size, this option can help. You can see if the theme you select has options for this. The wise use of captions accentuates the depth of your photographs. You may want to use captions in a balanced way based on the format of the photographs. A good theme would help you create captions that complements your photos well. Before choosing a theme, make sure you have adequate options to play with. Most prominent photography sites also feature engaging blogs. It is important that you have options to portray photographs in your blog posts too. Option to allow multiple formats in your blog is something that you can look for in a photography theme. This would help you discuss about varied styles of photography in your blog section. Here is a list of some of the top WordPress photography themes that you can try out. This is a great theme, suitable for all kinds of photography enthusiasts, from professionals to amateurs. It has a responsive design that assures your visitors will have the same great experience on desktop as well as mobile devices. Exposure offers multiple slider options, which you can use to display still photos or videos. It is quite easy to use as well, as it has both shortcode options and drag and drop page builder to create beautiful pages. With an integration with WooCommerce, it ensures, you have the best possible way to sell your photos. The regular license of this theme would cost you $49. With a range of options suiting all photography types, Exposure is a theme you can try out. 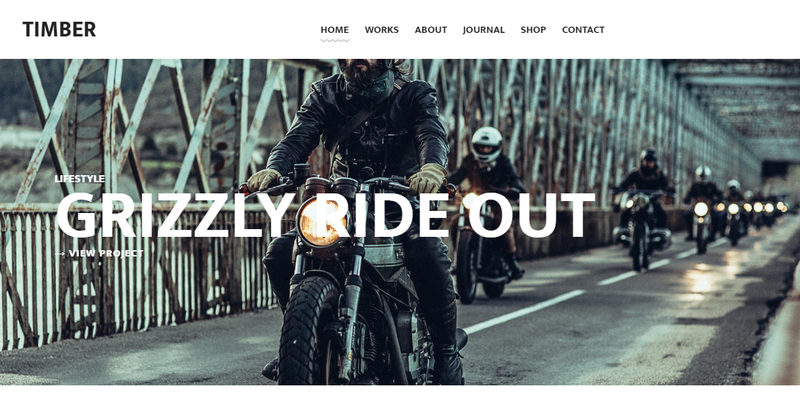 With multiple demos and sample pages, Oshine is a great WordPress theme that will help you set up a photography website easily. In fact, it offers unlimited layout possibilities, so that you can make full use of your creative ideas. The classy design and multiple gallery styles has made it one of the most popular WordPress photography themes. In addition, you will also find features like password protection for galleries. Oshine also offers multiple blog styles, video backgrounds, one click demo import, etc. The regular license is available for purchase at $59. With close to 20,000 customers, Oshine is a really popular WordPress theme. Another really popular photography theme is Photocrati. With this one, you will find over 60 pre-built demos to start working on your site. According to users, it offers great customization options and is a breeze to work with. It is responsive and has built-in options for galleries and eCommerce. The galleries are easily customizable, and you will also find multiple Lightbox options with this theme. In addition, it offers multiple blog templates as well for you to create responsive blog posts. With over 18,000 users, this is yet another popular photography theme that you can try out. Ease of use and customizability are two of the most important facets that its users assure in Photocrati. This is a great theme that would suit all kinds of photograhy styles from landscapes to weddings to food. The smart gallery options will provide you the flexibility to include variety of styles. It offers multiple views so that users can experience your site in different ways. The horizontal filmstrip layout, the thumbnails overview and zoom full screen all contribute to user experience immensely. 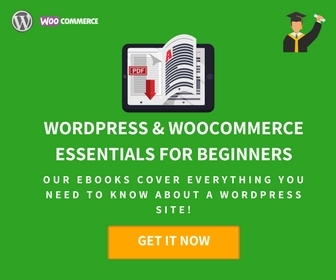 Timber integrates effortlessly with WooCommerce so that you can easily sell through your site. Similarly, you can integrate it with Printful to help you print posters, clothes, etc. without hassles. It also offers support for videos, auto EXIF data and overlay menu. Timber would cost you $75 for a regular license on Themeforest. With stunning visual details, Timber is a great theme for all photography styles. It is very easy to get started with this theme as it provides more than 50 gallery and portfolio templates. Depending on your preference, you can choose a layout, without the need for touching any code. The live customizer makes it all the more easy to change background, topography, color, etc. It includes Revolution slider, which will help you set up interesting animations for your image, video and text content. Maintaining an online shop with Photo Me is too easy, as it provides seamless integration with WooCommerce. In addition, it has features to help with your search engine optimization as well. This theme on Themeforest costs $59 for a regular license. 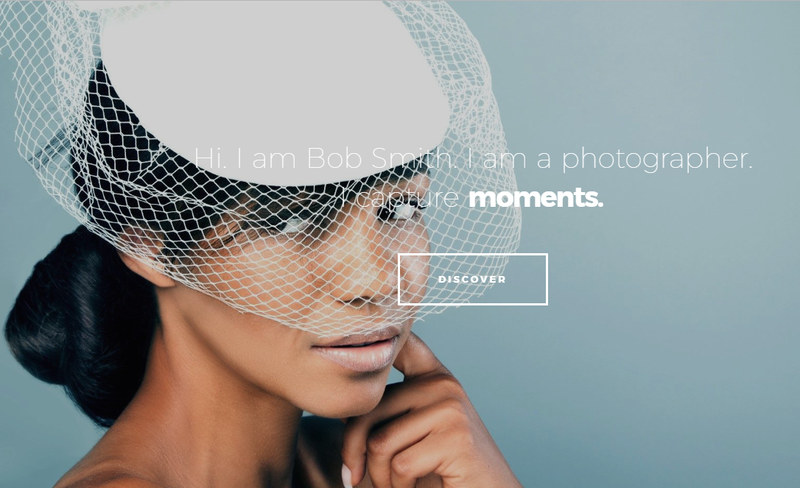 Pretty smooth to set up, Photo Me helps you set up a photography website in no time. A minimalist and responsive design is what you can expect from this beautiful theme. Your site users can view the images with all their details from any device they prefer. The built-in galleries option makes it very easy to set up a photography site with this theme. Live Photowall homepage option offers the option to display a different image on the homepage by selecting them from your portfolio images. In addition, this theme provides options like Ajax contact forms and custom shortcodes. The theme is SEO, Analytics and Translation ready as well. Moreover, the extensive documentation and dependable support forum would help you out if face any difficulties. 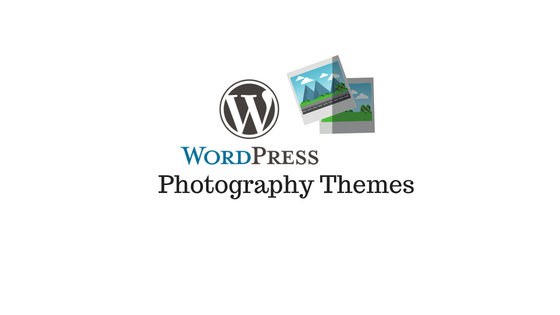 Photographer theme is priced at $75 on Themeforest. The minimalist and responsive design of this site has its fans. You can create any kind of photography site with Pinhole, be it a portfolio site or an online store that sells photographs. Unique features like restricted login option for your customers, photo proofing, etc. help it standout from competition. It helps you upload photos of a specific customer with exclusive access. You will find over 30 different gallery layouts with this plugin, and you can easily manage them without any coding or additional plugins. And the advanced theme options help you set it up your entire website in a matter of minutes. To make things easier, it has one-click demo import and updates as well. A regular license of Pinhole would cost you $69. Showcasing your photography portfolio on a WordPress site becomes quite easy with ePix. Packed with awesome features, this theme has multiple gallery options, and a visual page builder. It has advanced theme options, and is fully responsive to make sure your site visitors will have a consistent experience across devices. ePix offers lightweight contact form and an animated widget gallery. The easy integration with WooCommerce will make it pretty easy for you to sell photos on your site. You can get hold of the regular license of this theme from Themeforest at $59. With a stunning variety of image effects available, ePix helps you be at your creative best. 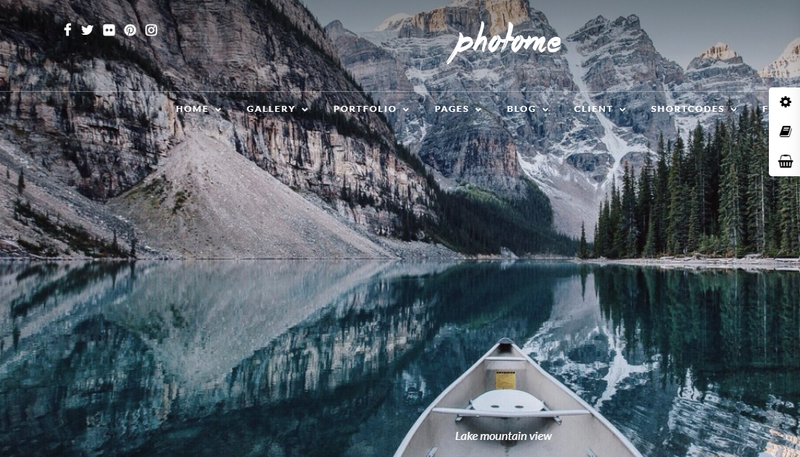 This is another promising WordPress photography theme that you can look out for. It has features like multiple slideshows and option to alternate between light and dark themes. You can create a homepage with a photogallery or videos. You can showcase your work more effectively as it has filter options for the portfolio. Borano is fully responsive and retina ready, and it has options like Lightbox. Moreover, it offers detailed documentation as well as video tutorials to help you with setting up your site. Borano is a highly customizable, easy to use WordPress theme that will help you set up a beautiful photography site. 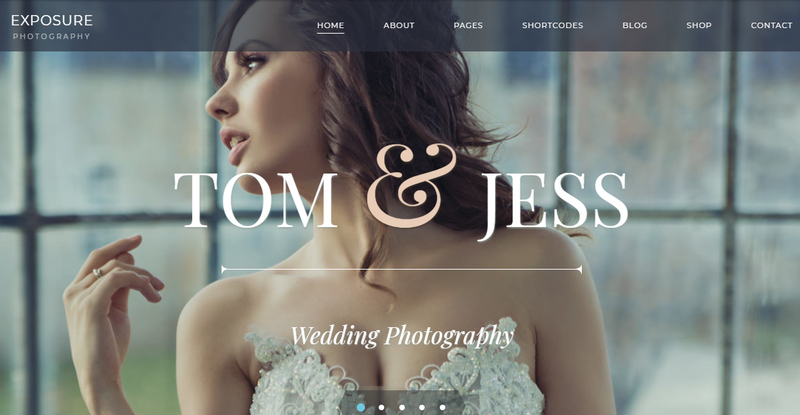 With more than 70 page designs, this is a great theme to set up your photography website. It is relatively easy to set up. You can easily import all the different design elements of your site with the one click demo import option. 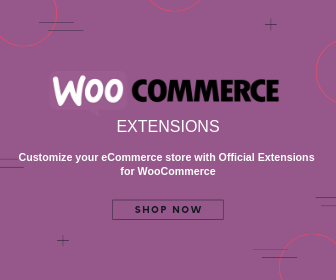 Lot of customization options and easy integration with WooCommerce provides you with great opportunities for your site. And, it has features like client login and photo proofing for a more professional approach in dealing with your clients. Features like lazy loading and infinite scroll help you set up a fast loading site too. The theme comes packed with useful plugins like Revolution Slider and iLightBox to help you create sliders and lightbox respectively. This plugin is priced at $59 for a regular license on Themeforest. With great features like horizontal portfolio layout and full screen galleries, this theme would help you build an awesome photography site. The developers have make sure to not bloat the theme with a lot of unnecessary features, but kept a lot of useful ones. It offers an option to keep large images as your page backgrounds. You can easily create pricing tables and service blocks on this theme, as these are important aspects your clients might be searching on your store. And changing the color scheme of your site is pretty easy with Kameron, as it has a handy color picker. According to users, Kameron has dependable customer support as well. You will find a regular license of this theme on Themeforest at $95. 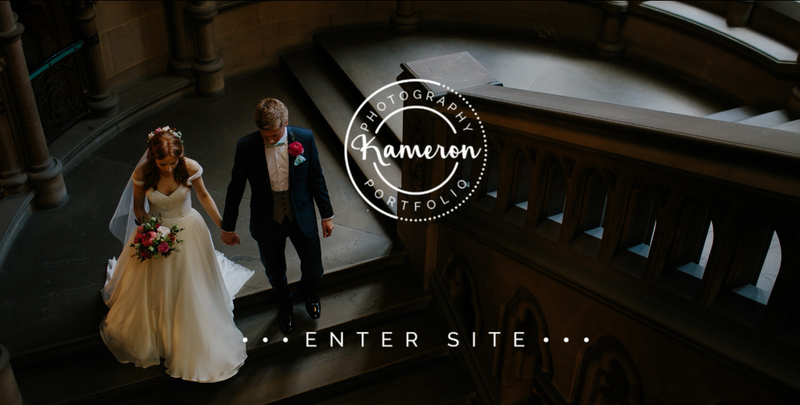 Kameron is another powerful and highly customizable option that you can try out for your photography portfolio site. Creating a photography website is a really easy option as you will find a variety of awesome themes to help you with it. 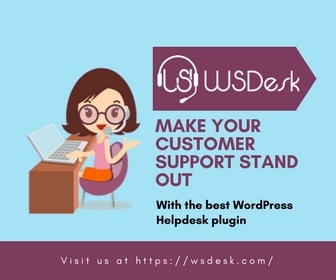 If you are new to the WordPress environment, you may find the sheer number of choices a bit overwhelming. This article probably has helped you in learning more about some of the most popular WordPress photography themes available at the moment. You also must have gained a decent understanding on how to select a suitable theme for your photography site. Share with us your experience using one of the popular themes in the comments section.